On Nov. 1st, Day of the Dead, friends and family gather to honor the deceased through a celebration of life. This Mexican holiday has roots in the indigenous practices of Mesoamerica mixed with the Catholic faith introduced by the Spanish conquistadors. This celebration’s dramatic rituals are a reflection of the unique blend of cultural contributions at the heart of this holiday. 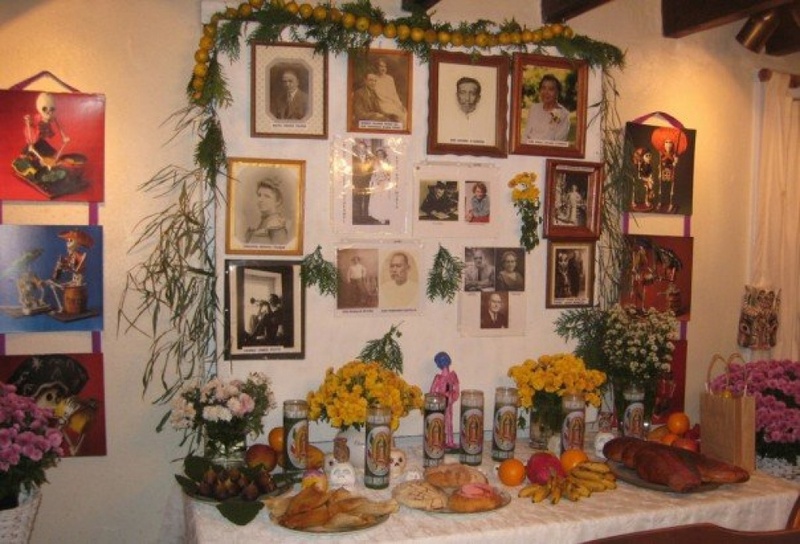 This syncretic celebration is a rich sensory experience filled with food and folklore. This year, at De-Construkt [projekts], artists from Mexico and Mexican heritage share their connections to the holiday and invite visitors to experience the deeper meaning of Day of the Dead beyond the vivid exotic imagery that has recently become popularized in American culture. This dinner invites visitors to immerse themselves in the sounds, smells, and tastes of this Mexican tradition through the cross-cultural perspective of artist Jackie Danziger. In this performative celebration of memory, personal history and food, Danziger welcomes the public to join in the preparation and celebration of her intimate family tradition. Attendees can arrive early to participate in a theatrical cooking class where they will prepare 200+ tamales which will be served during the evening festivities. Guests are invited to bring images and objects for a communal altar which will be created throughout the day, the altar will include digital projections of deceased, submitted by the public in advance of the performance. The evening will include the presentation of works by Mexican video artist Karla Carballar and performance artist Polina Porras on the shades of ritual, loss, and rebirth in everyday life, as well as documentation from the New York City-based Mexican businesses from which the bounty of our dinner was harvested. Throughout the evening, guests are invited to sing, dance and share stories about their loved ones.